The cost is determined upon your selections and the hard costs to make the project work. If a project is a remodel, there could costs associated with bringing your property up to code that cannot be anticipated upon initial inspection of project. 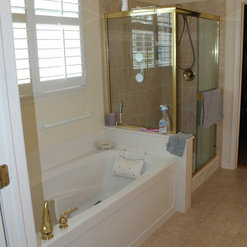 Feel free to call us to discuss your space and project further. 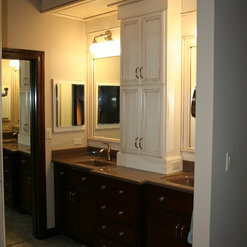 Custom Design Build and Remodel company in the Northwest Chicago suburbs. 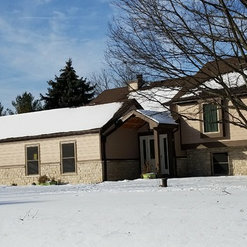 Custom Homes | Custom Remodeler | Home Builder | General Contractor Rick Behning and Dee Reinhardt are the husband and wife team behind Creekwood Homes. 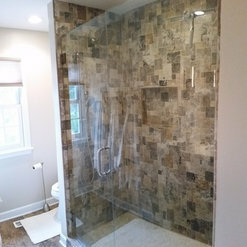 We have been working together to build custom homes and beautiful remodels since 1998, working with your family needs, lifestyle, and budget to turn your house into a home! 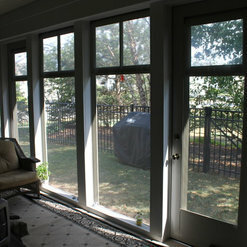 We "open the door to possibilities" for your current home or the next one you will build. Rick has over 30 years experience in the construction field. 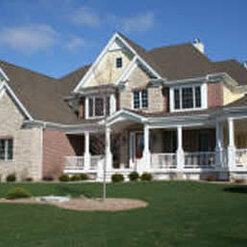 He began his career as a carpenter with a custom home builder in the Barrington and South Barrington area. Moving up the career ladder quickly, he learned early on what is required for high quality craftsmanship. Dee has a management, marketing and sales background. She has been working with Rick since the company’s beginning to turn the homeowner’s dreams into a cost effective reality. 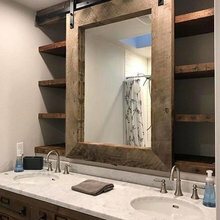 Dee works through the tradesmen, suppliers and you to create a proper mix of colors, materials, fixtures, and fabrics; the finishing touches to create a warm, welcoming environment that is all yours. Using the depth of our knowledge, we work diligently to provide value for a family home. Having our own staff of qualified carpenters allow us to be physically involved with many phases of the actual construction of your project / home. We work with highly skilled tradesmen, who assist us in our goal of meeting scheduled production deadlines. When our carpenters are not on the job, we supervise your jobsite during each stage of the building process to ensure we turn a well-built house into the custom home of your dreams. 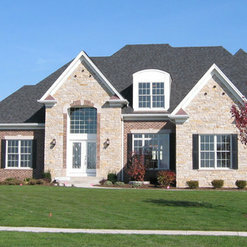 We are able to insure the quality of your new home from start to finish. 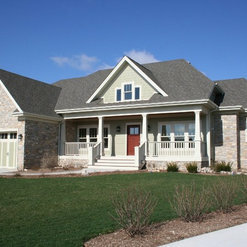 We look forward to helping you achieve your desires for your custom built home. Perfection - again. 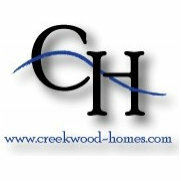 I have hired Creekwood Homes for several remodel and installation projects over the past few years. My most recent job was a rush completion, and Rick and Dee accommodated me in every way. Their professionalism is unparalleled. Rick’s carpentry skills are exquisite, and Dee’s help with design decisions are first rate. They always make sure that my projects stay within my budget without sacrificing quality, design, workmanship or outcome. Every member of their team who has worked in my home has been the best, arriving on time and staying until the job is completed. My questions and concerns are always addressed to my satisfaction. I’m so proud to show off their work. I highly recommend Creekwood Homes for any job, large or small. They are the best. Rick is an amazing builder and such a skilled professional! He is wonderful at listening in collaborating, and also offering practical solutions to household ideas and problems. 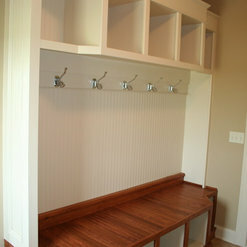 He is creative and kind and his crown molding and trim is spectacular! Rick is great at keeping budget in mind as well. He had great attention to detail and Dee has helped me with her design visions as well. They are a great team and could make any home look like a showcase! 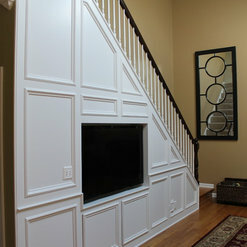 Creekwood Homes created a direct vent fireplace and a wall bookshelf in the living room. A granite counter was included to complement the fireplace surround. The design process enabled both the homeowner and contractor to discuss the best approach to incorporating the existing window in order to create a balanced arrangement. 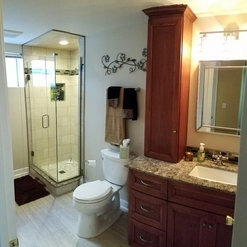 I would highly recommend Creekwood Homes for any custom work needed in an existing area. Our living room is now a much more usable space where friends and family can gather to enjoy a warm chat by the fire. 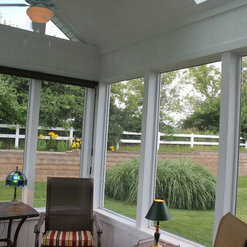 This was a great project, I am so happy you are enjoying your new living room space. It truly looks as if it was always there. Please let us know if there are any other projects with which we might assist! Commented: hello! would you please tell me the color of the shakes?Without looking up records from 2007, I believe it was Heathered Moss by James Hardie.